Well we are all now back from our week at Sutton Bank and I’m sure a great time was had by all. We are always at the mercy of the weather, even more so on a club expedition but in the end we were able to fly on 6 out of the 7 days we were there. 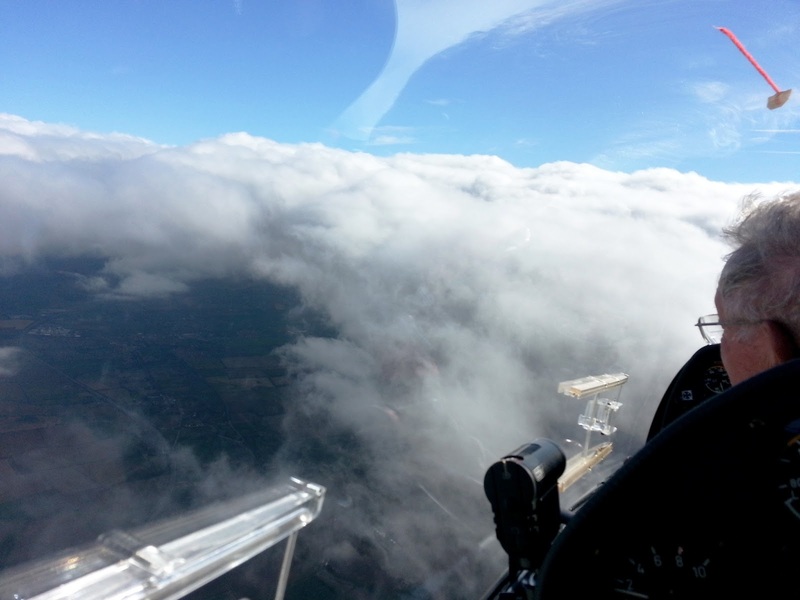 Indeed after the first few days we had flown ridge, wave and thermal flights. Due to reasonable SW or WSW winds we had 3 days where the ridge was working well, the last day (Friday) was especially good with strong climbs to cloud base (which was only 1700 ft) meaning that we could ridge soar quite a distance from the site. Pushing forward from the ridge we all encountered good lift and by following the energy line were able to reach Thirsk which is 5k or so out. Monday started off as a light ridge day but later on wave developed a short distance from the club and everyone started taking aerotows to try and contact it. Somehow Carol and I leapfrogged the queue (not our fault honest!) and launched before Pete and Chris in the Puchacz. We managed to contact wave after taking a 2,800 ft tow and climbed up to around 5,000 ft before the wave collapsed and we had to made a quick descent. Unfortunately the Puchacz missed out on getting into wave as they reached it just as it collapsed and ended up being dumped by the tug at 2,000 ft (cloudbase) some way from the club. Luckily they managed to get back OK but I think it was marginal! On Tuesday Carol and I made use of some good climbs to fly out towards York. We had intended to fly with Chris towards Pocklington but a mix up in communications meant that we set off without him. 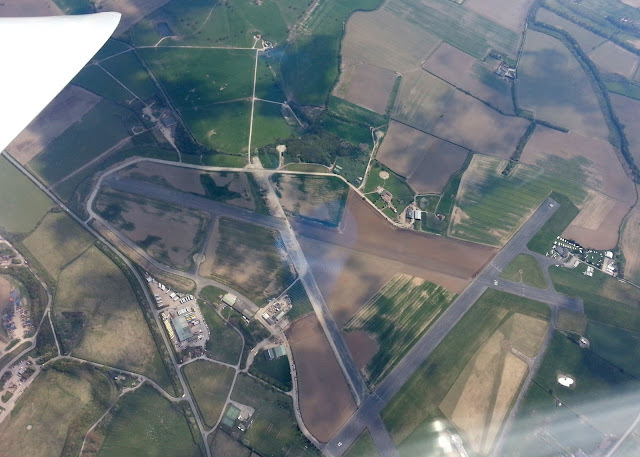 Just south of York it all went blue and as other gliders were reporting challenging conditions ahead we diverted to Rufforth (photo above) before moving unto Ripon. We did try to go on to Barnard Castle where Chris had headed but we started to get low so tip toed back to Dishforth in search of lift and after gaining enough height made a run back to Sutton bank. Meanwhile Rod and Paul had a cracking flight in the Puchacz having pulled off tow at 1,500 ft in strong lift and climbed off the clock to 5,000 ft! We eventually met up with them over Dishforth some 18 k out from Sutton Bank. Also whilst up there we met up with Annette (Purcell) who was visiting SB with her partner Graham, those of you who have been at the club for a while will remember Annette. She now instructs at Lasham and Talgarth and hopes to visit Shalbourne in the near future to meet up with old friends. Finally Paul commented that he was only happy if he could see the Sutton Bank White Horse as that was the only landmark he knew………………………………………………..So we made him a special hat! ……………………………….now everywhere he looks he can see the white horse! As usual we were made very welcome by the Yorkshire Gliding Club and can’t wait to go back up there again.